One of our clients is a professional services firm with whom we’ve worked on a number of projects. This case study is about defining the requirements for partner success in the future and establishing a partner leadership and business development programme. We’ll examine the thinking behind the programme and also the results, though the application of the partner success profile is still on-going. The firm was undergoing many changes, all driven ultimately by the changes the sector is experiencing as a whole: Pressure from clients to be more commercial; the growth of new and different types of services being developed; services being outsourced and deregulated; greater demands from clients for cost efficiency. Alongside this, the firm realised there were different career expectations amongst employees. Not all were aspiring to partnership and different partners held different ideas about the contribution expected of them. We worked with a sponsor group to create a success profile for partners that we then turned into a performance tool. Partners could use this to assess their own performance, identify their personal development needs and create personal practice plans which were integrated with the overall practice group plan. They could also use this tool with their practice group leader to agree their annual contribution to the firm. The success profile was used to communicate the personal and business development requirements of partnership to those aspiring to be a partners. One of the outcomes of the success profile exercise was a deeper understanding of the expectations of partners to support colleagues, to expand their practice and to offer clients a wider range of services. This cross selling resulted in the need to create joint business campaigns such as working on sharing market intelligence, joint events across sectors, introducing partners from different disciplines to a client and collaborating on growing key client accounts. The model also provided the standards expected of partners in leading initiatives that went across the firm. Like many professional services firms, this one had a fantastic development and training programme to take employees from graduate-level to senior associate, but when people got to that level they had to learn many new skills and responsibilities. The most challenging of these were in the areas of leading others and winning client business. Traditionally these skills have been developed through distinctly different development experiences, even though many of the underlying skills are common. For example, we identified in the success profile that a skill like connecting deeply was as important with clients as it was in attracting the best employees to work on complex client projects, and asking the right thought-provoking questions was as important in a performance review as when understanding a client’s issue. Helping future partners to see that they could learn and use these skills in multiple situations was a key feature of the approach we took. Our unique success profile methodology identifies ‘the difference that makes a difference’ in the most successful people or leaders and creates a model that can then be used to design talent identification, assessment and development processes, development training and performance tools. Because the success profile identifies the ambitions and beliefs of the most successful and codifies these into a model, it works on a deeper level than most competency models and identifies the mind-set that will lead to success. In addition, the resulting profile describes success in that specific organisation rather than using more general, generic descriptions. It takes into account the culture, strategy and ambitions of the firm as a whole. The profile is derived from interviewing the most successful individuals in an organisation – in this case partners – and therefore uses language and examples that are uniquely recognisable, relevant and believable. The success profile focuses on just those attributes associated with exceptional performance rather than covering everything a partner has to know and do. This in turn makes for greater focus in assessment and development, and a profile that is more credible to the partnership as a whole. Is based on the views and experience of the most successful individuals who already have a proven track record. Identifies and defines the secrets of success within the firm and makes them explicit. Identifies those magic ingredients in the business and culture that are unique to the firm’s success. Identifies what’s getting in the way of success. Creates a verified model of success in the organisation. We used our brain-savvy design principles. The first is what we call ‘behind the curtain’, sharing the structure of the programme with the client but not sharing the reasoning behind it. This approach makes participants more likely to apply learning and new behaviour and thus ensures a greater return on the firm’s investment. Design based on how the brain actually works, so participants understand what’s in it for them to attend the programme and adopt the new behaviours. Generating insight rather than simply imparting information – all of us are more likely to act on personal insight. Reinforcing insight through tools that help continued learning back in the workplace. Pacing learning carefully to avoid overloading people and providing active reflection such as on-the-go coaching. Partitioning content and learning into easily digestible chunks and using multiple learning methods. 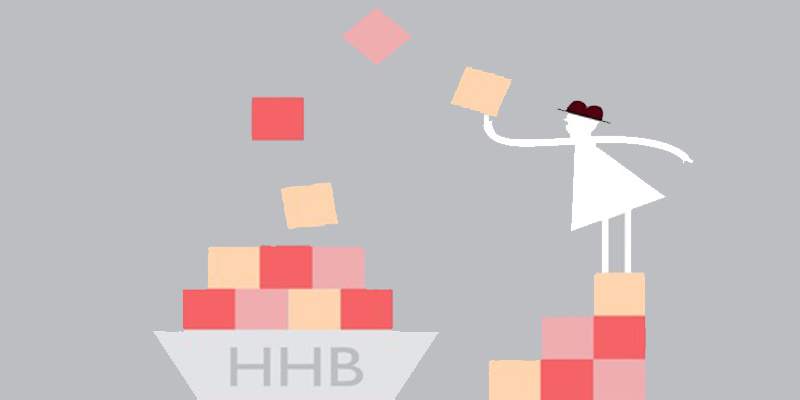 The science of habit formation to instil new behaviours in the workplace. 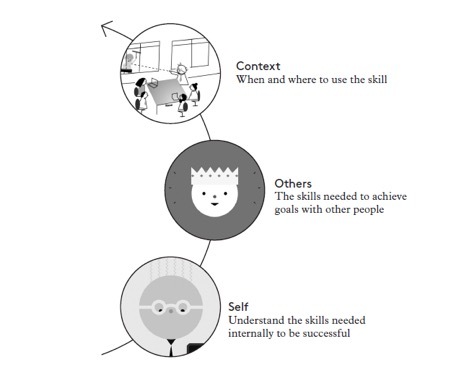 The second design area is the use of core skills. We believe that skills which are applicable in several contexts are often developed in only one. For example, skills like those that might be developed when agreeing action with clients when someone closes a deal can also be applied with team members when agreeing performance goals and also when agreeing practice group plans with colleagues. This skill is rarely acknowledged as being the same in all of these contexts. Developing and practicing the skills required for the complex role that a partner or executive plays helps to reinforce learning, provides multiple opportunities for practice, begins to build new behavioural habits in the development programme and ensures that people feel confident that they know how to apply the skill. It also optimises the training budget. When introducing people to these core skills, we use a three-point model that ensures they are acquired in the relevant contexts and thus embedded and easily transferred to the work place. How clients react in a sales or pitch situation. How associates may experience a sense of threat or reward depending on the partner’s style. How partners can understand the effectiveness (or ineffectiveness) of their work habits. We brought the science of behavioural change to bear on understanding how work patterns and habits are formed and how they can be changed. One feature of the programme was the use of a brain-savvy self-assessment questionnaire that allowed participants to assess their own work habits and target areas for development. Another feature was the use of a case study that examined an actual piece of client work all the way from the first sniff of an opportunity through pitching to putting together a team to work on the project and dealing with difficult client situations – in this case a budget overrun. Part of what made the programme so successful was the opportunity to work with real data and take precisely the kinds of decisions they’d encounter in their day-to-day jobs. This tested their understanding and provided opportunities to practice core skills in a realistic context. From a psychological perspective, this meant that new habits were beginning to be developed even before participants left the learning programme. The provision of a site where participants could continue to access materials. Group coaching with participants 3, 6 and 9 months after the workshops. Refresher workshops throughout the year. New materials supporting the theme of the programme throughout the year. Setting up of a ‘buddy’ scheme – a colleague responsible for providing ongoing support and coaching. During the workshop, participants also developed a charter for working with teams and for creating business development opportunities alongside their everyday client work. This was shared with practice group colleagues after the workshop and, in the majority of groups, became part of the practice group plans. Aside from the concrete business benefits, one of the most pleasing results of the workshop was the bond formed between the participants and the ongoing support they gave each other. This forged a cohort of people across different sectors and geographies who had a common experience, a common language and a stake in each other’s success. In answer to what element of the programme was the most useful: “The sessions that incorporated learnings from psychology and behavioural science were terrific – I will definitely be trying to apply some of them in my own career as well as outside work. It was great to hear directly from the Chief Executive Partner about his vision for the firm and the ultimate objectives of initiatives to reshape the firm and to redefine the way we work with clients. Then there was the challenge to pose a thought–provoking or ‘powerful’ question for the Chief Executive himself that delivered new insights for him – I think everyone enjoyed that exercise. "It has provided me with confidence and encouragement that the firm is really keen for me to succeed and to be in a meaningful leadership role that will be important in helping us deal with the new paradigm of the shrinking and changing market."